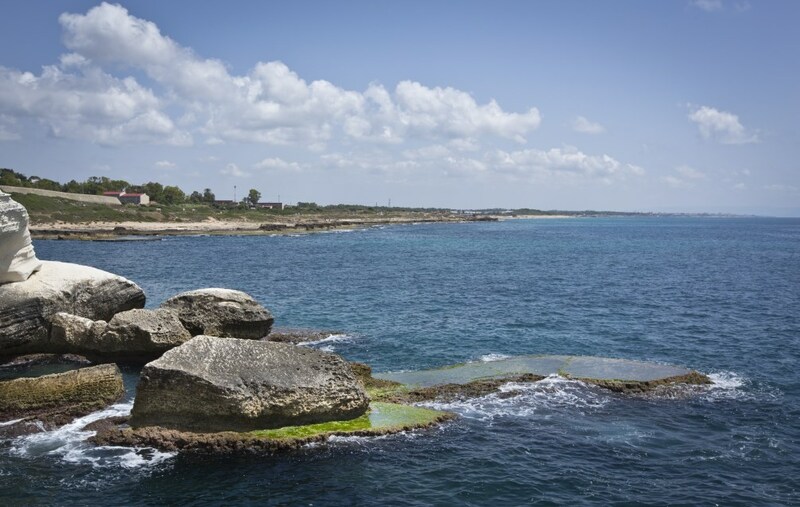 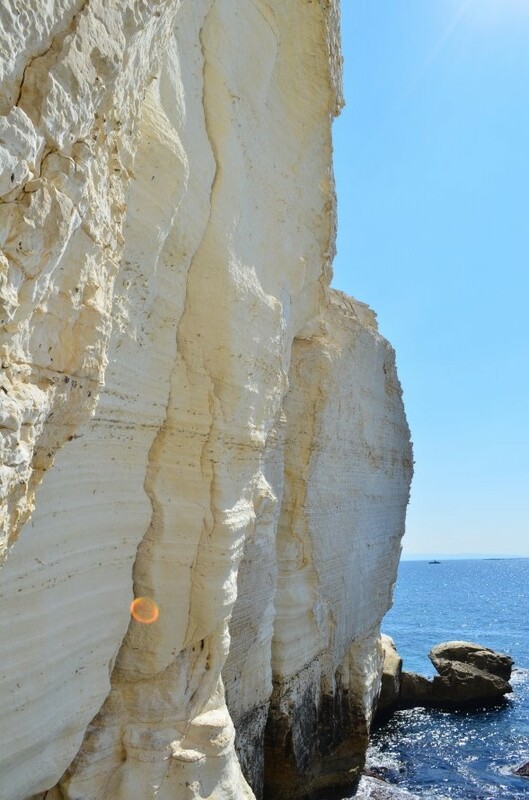 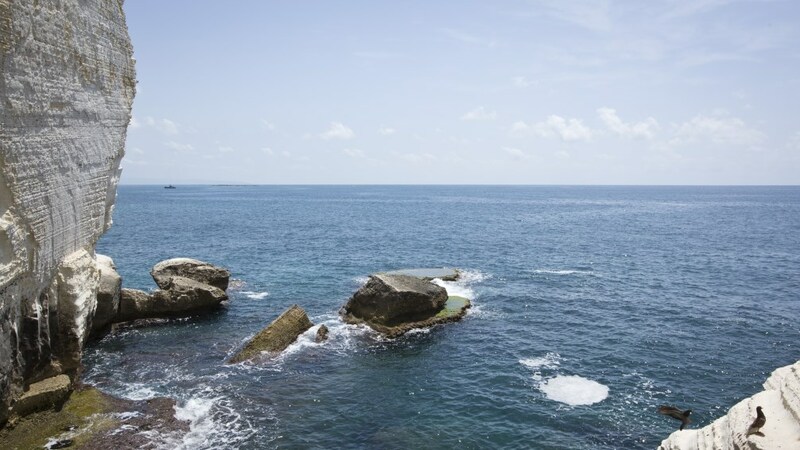 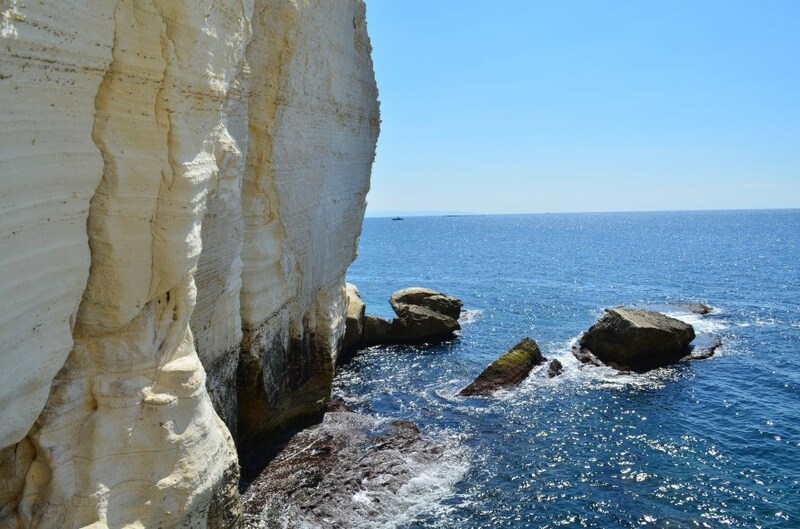 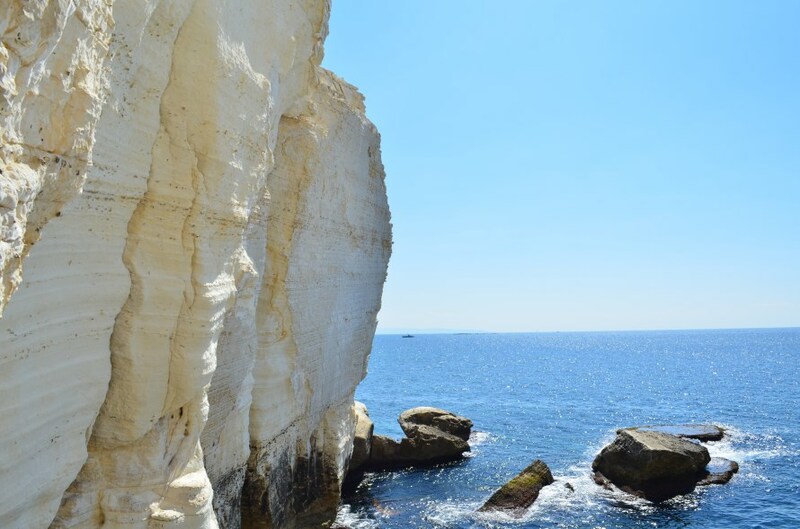 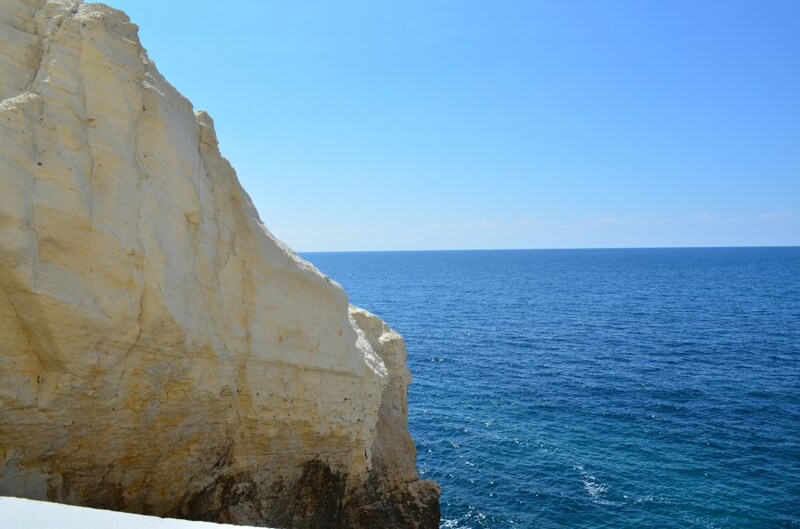 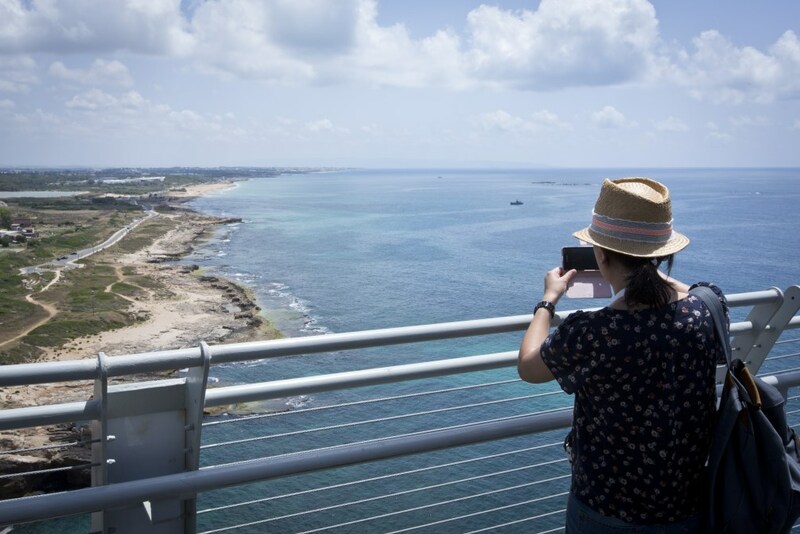 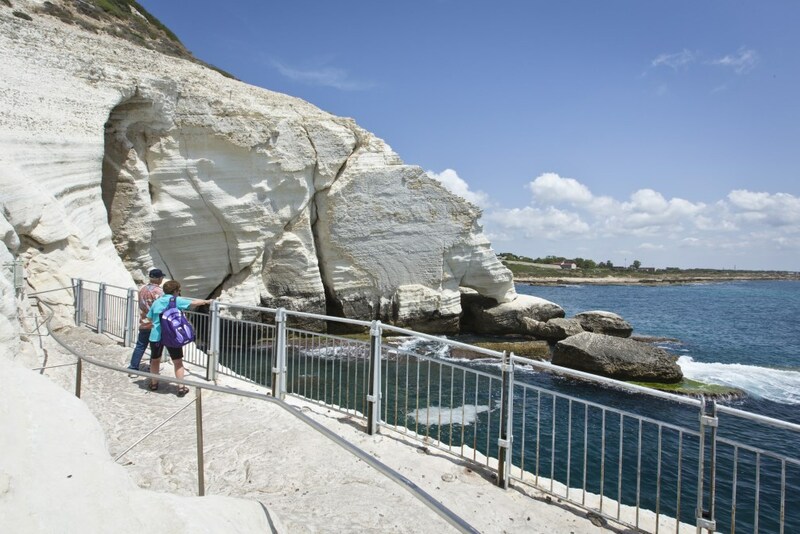 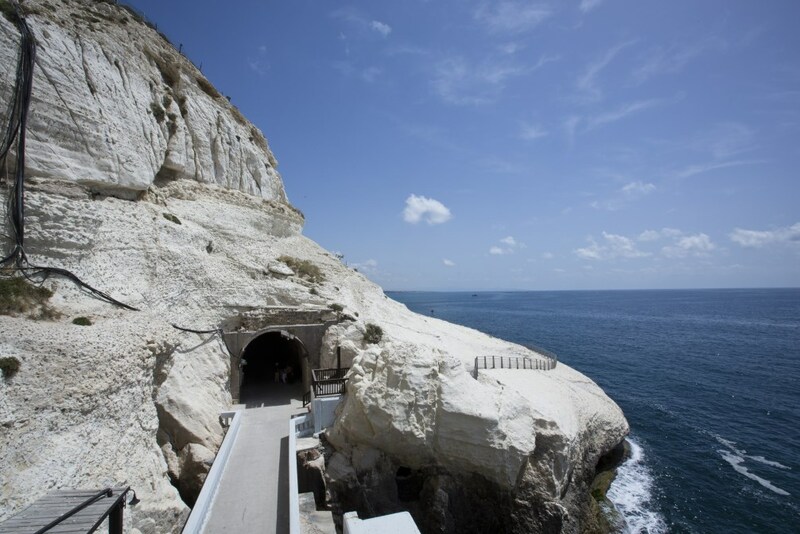 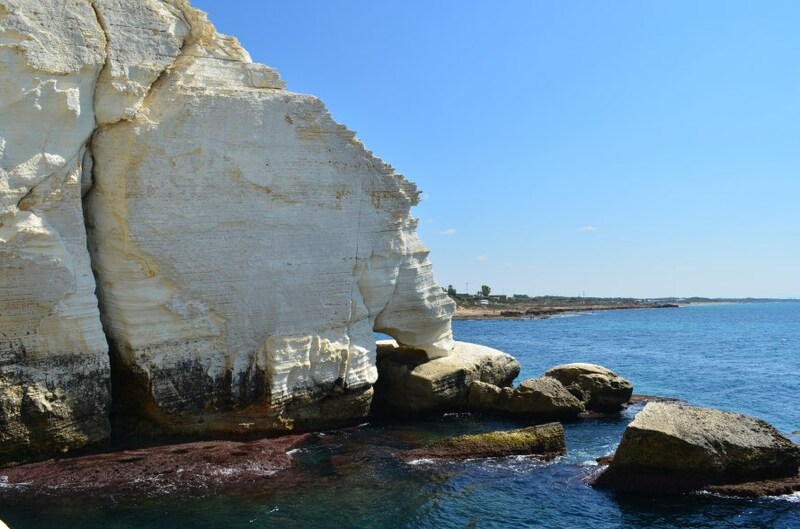 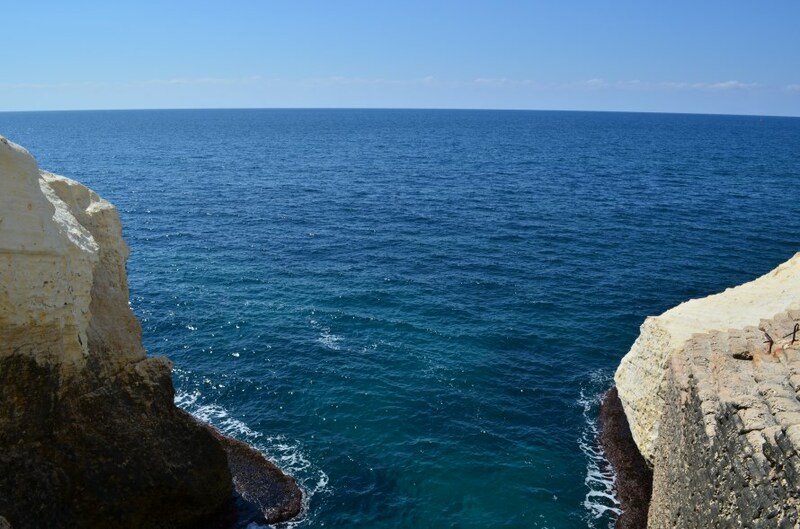 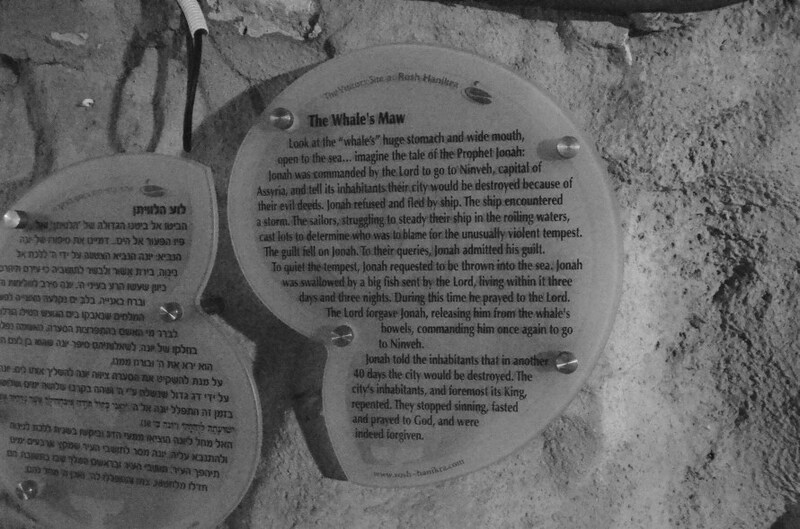 On the north - western corner of the country, at the only point where the ocean meets the mountain, the magical tourist site of Rosh Hanikra is located; the site is suited for families at all ages and is open year round. 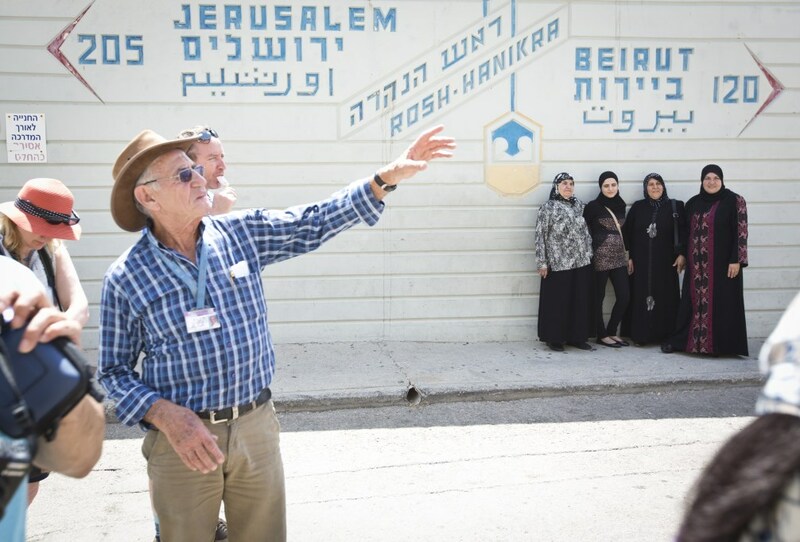 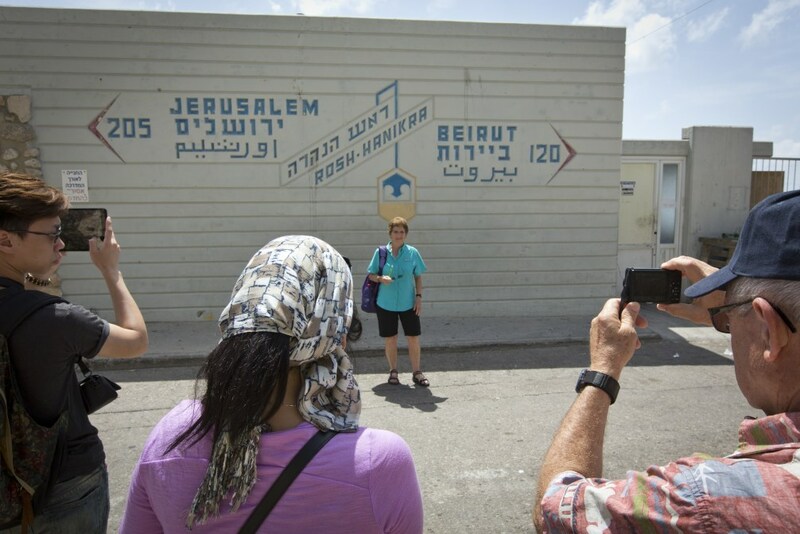 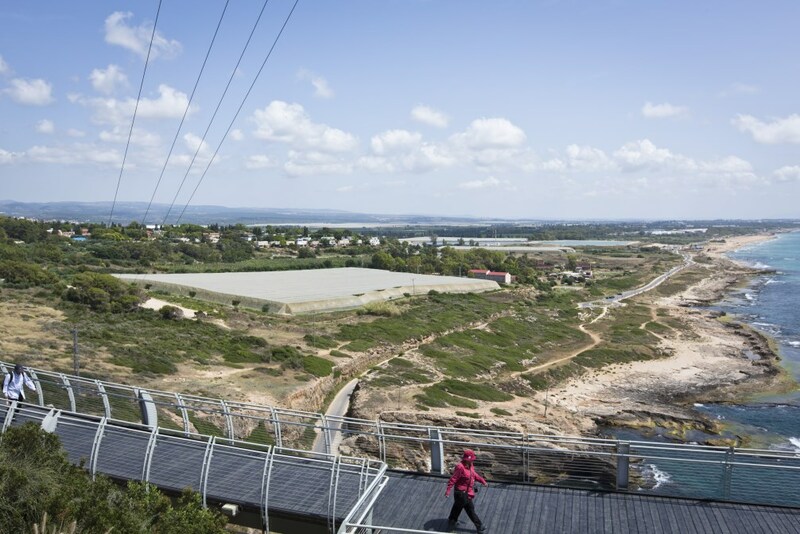 The site is defined as a nature phenomenon unique to Israel- actually a kind of interacting with nature. 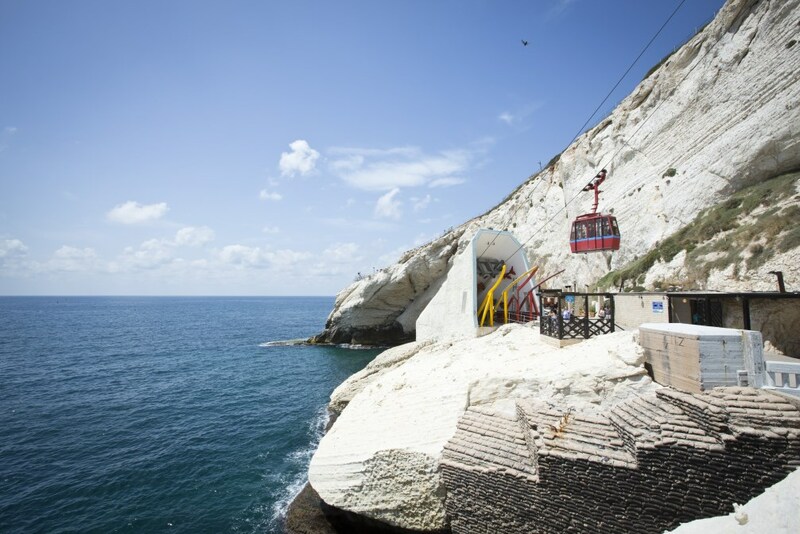 The steepest cable car ride in the world is the main means by which you can approach the mysteries of the grottoes. 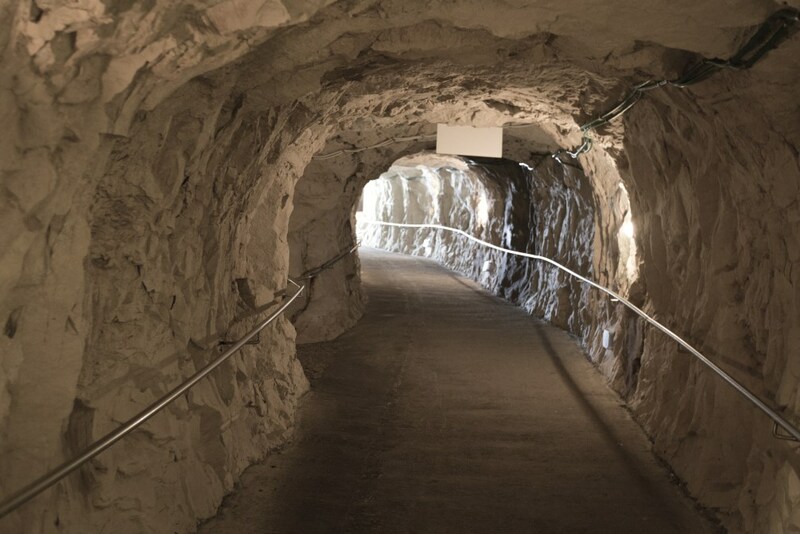 The ride in each direction takes approximately two minutes. 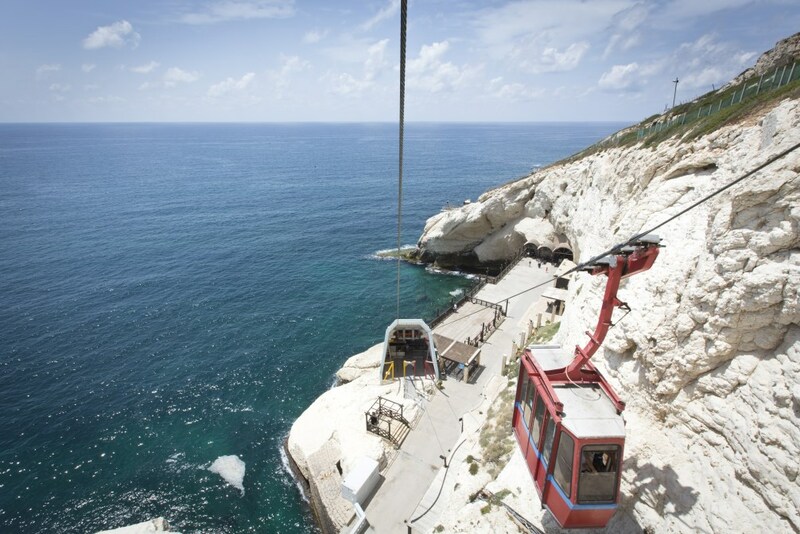 The cable car descends from a height of 70 meters above sea level at a steep angle of 60 degrees. 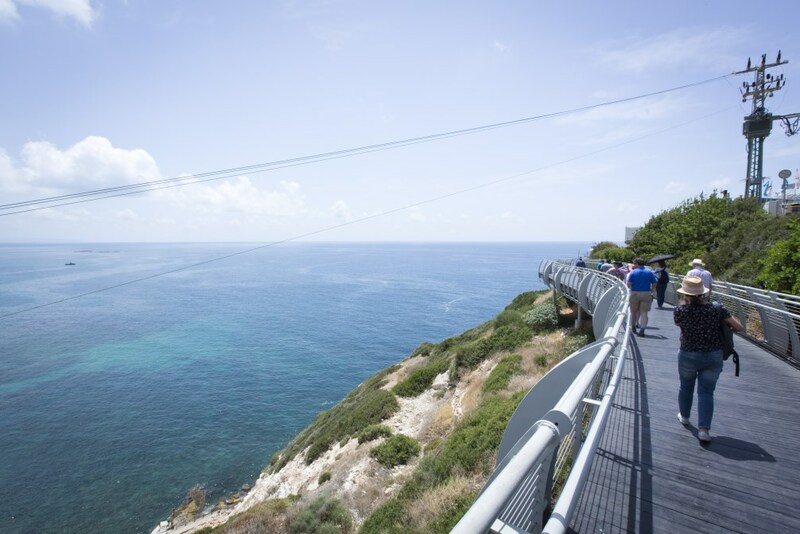 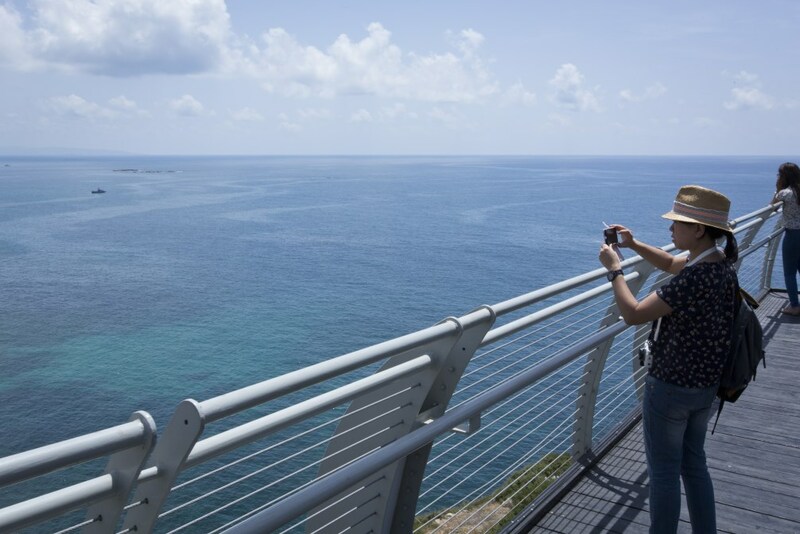 The primordial view of the sea seen from the cable cars during the ride is simply breathtaking. 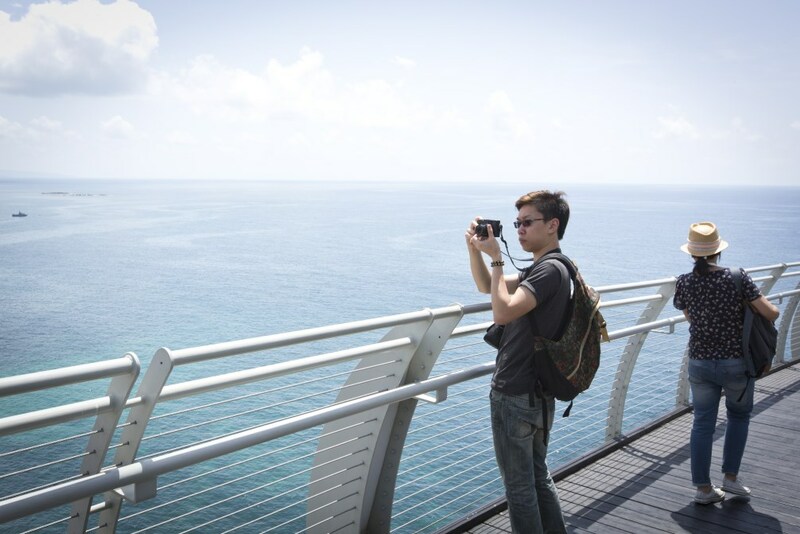 We recommend that you pull out your camera. 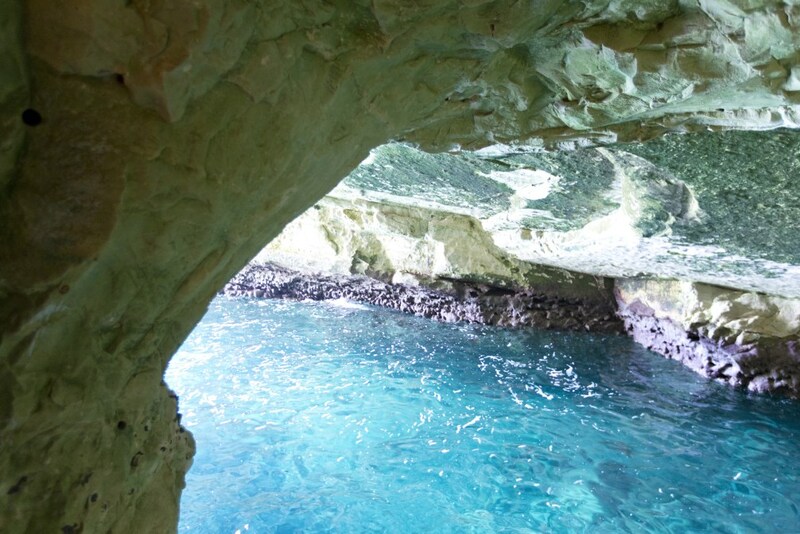 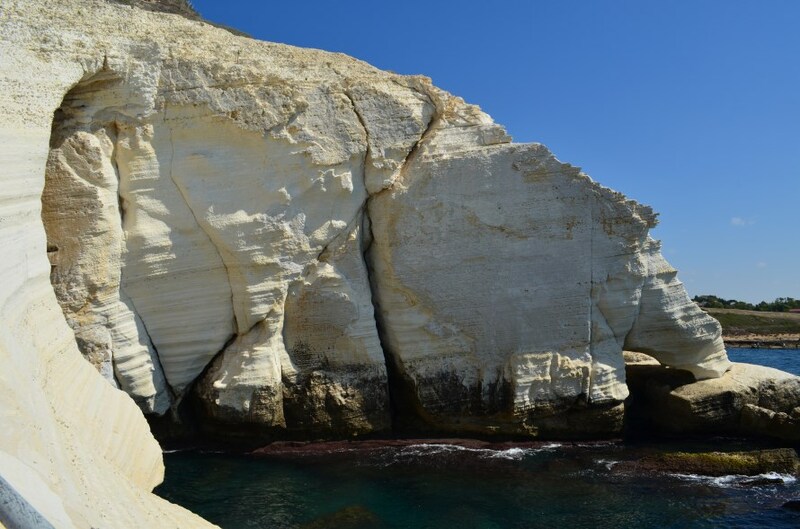 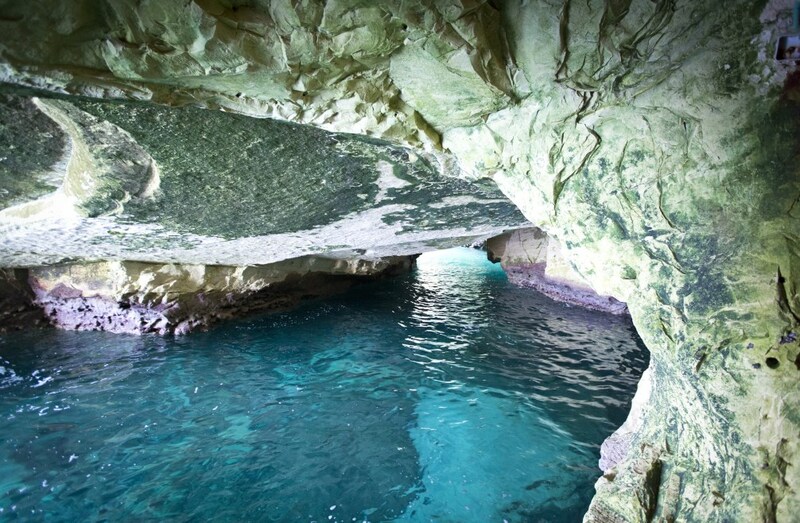 The grottoes resulted from an ongoing geological process over thousands of years. 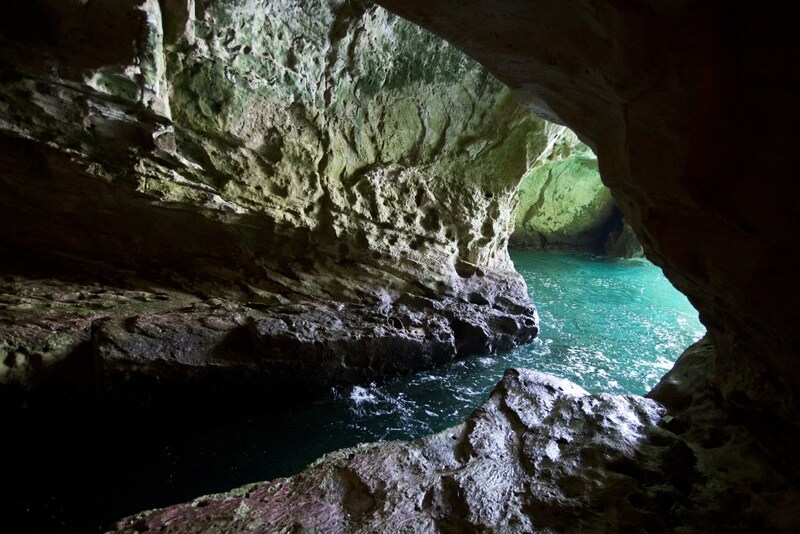 It all began with a series of underground shocks that ripped gapes into the bedrock. 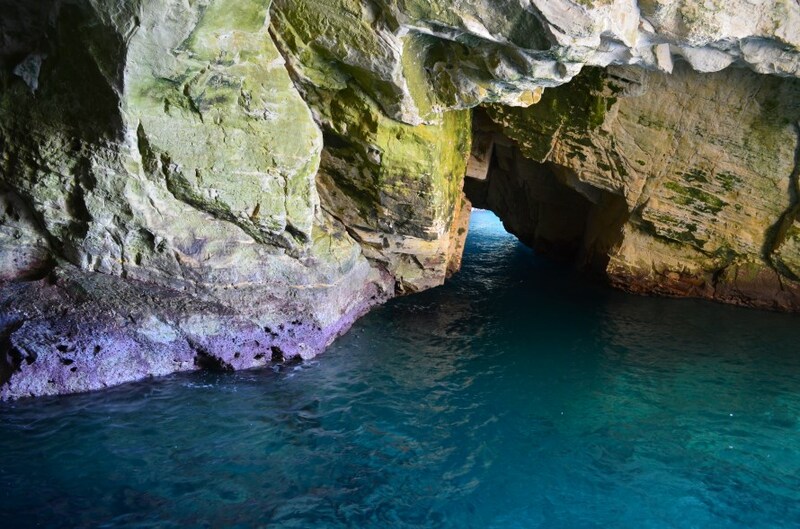 Rainwater penetrated the gaping rifts, dissolving them and forming within tunnels and sea caves (grottoes) that relentlessly proceeded to expand because of the intensity of the waves slamming the rock during a storm. 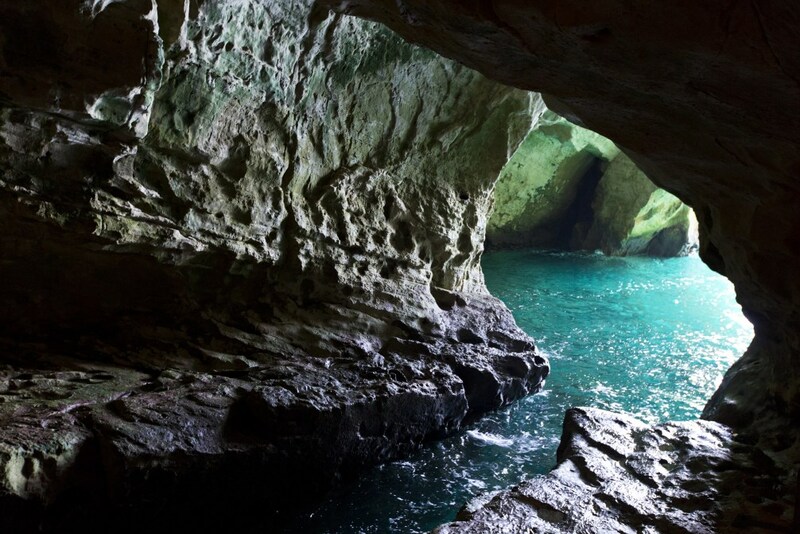 The grottoes are a natural wonder, fascinating in its mystery and breathtakingly beautiful at all hours of the day and throughout the year. 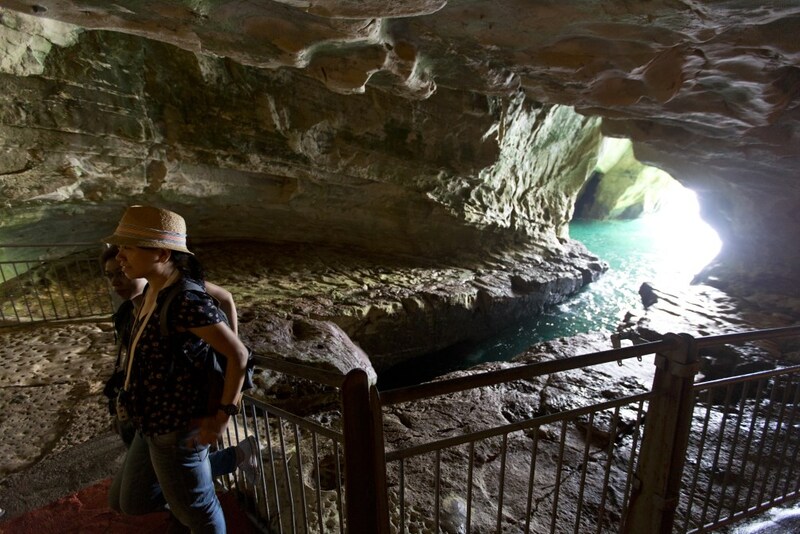 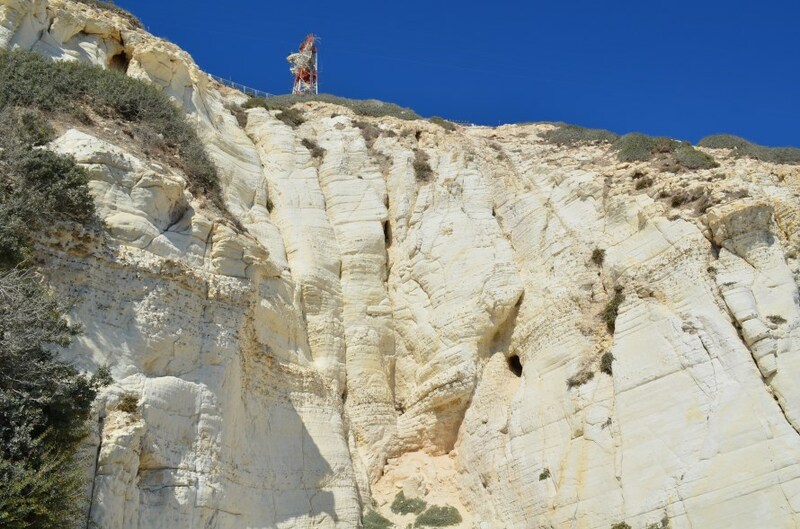 The length of the walking track at the site of the natural grottoes is around 200 meters. 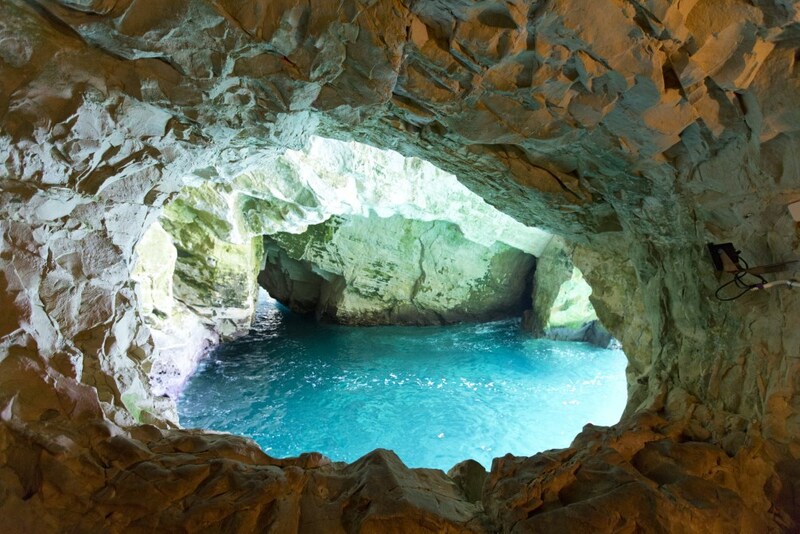 The grottoes are lit up and therefore allow for nighttime visits. 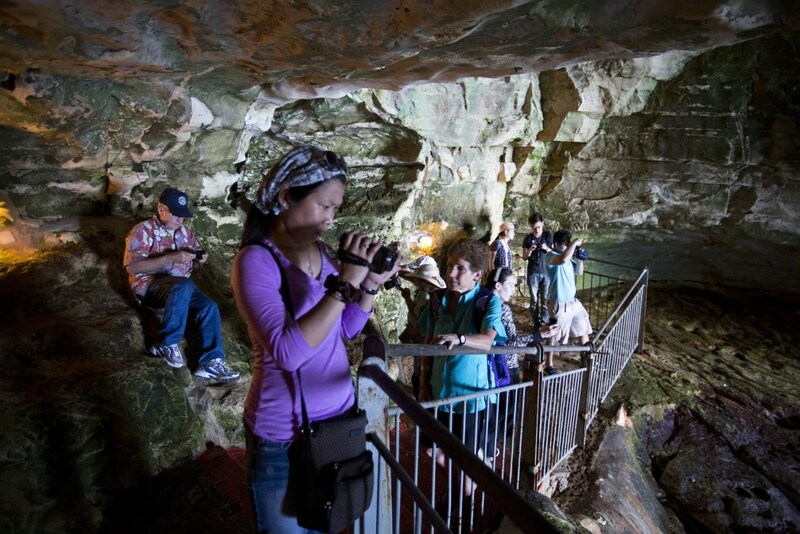 Audiovisual presentation - Enter the hall of the light-and-sound show quarried into the mountain rock and experience the story of the grottoes: hear the ancient legend, see how the grottoes were formed, get to know the animals living here, sense the forces of nature and in one magical moment simply become part of it all. 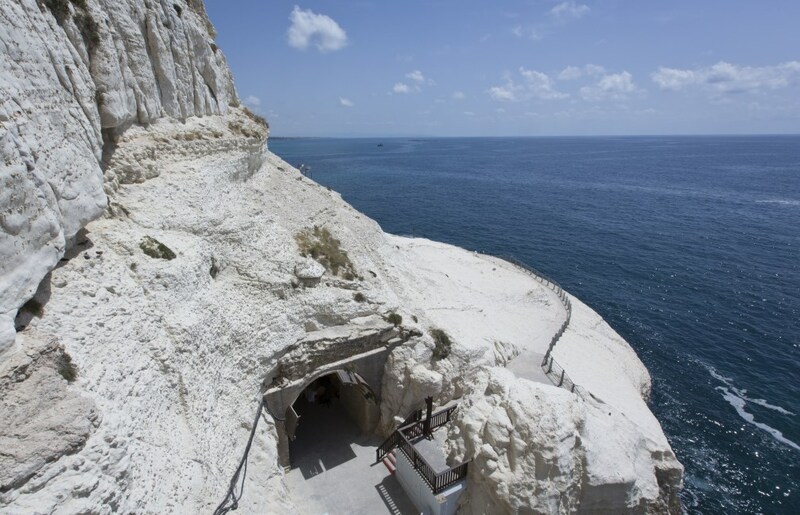 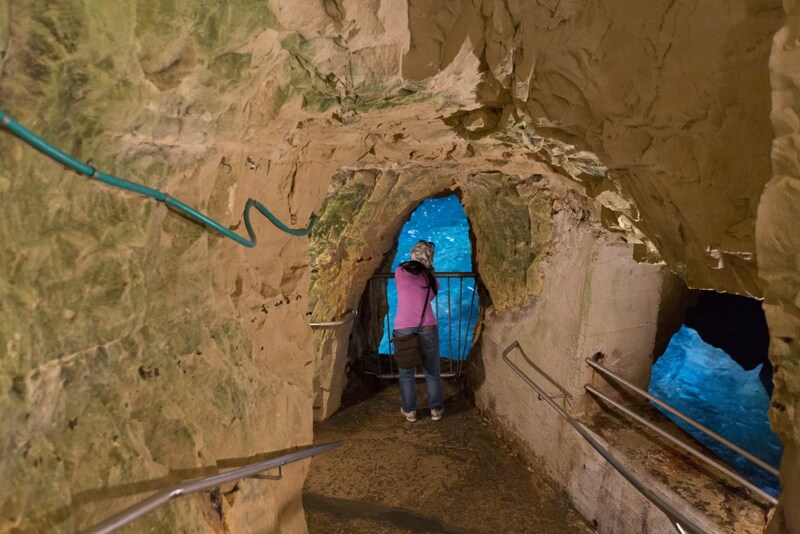 In the show, you shall see photographs reconstructing the quarrying of the train tunnels by the British, and experience a virtual tour inside the grottoes. 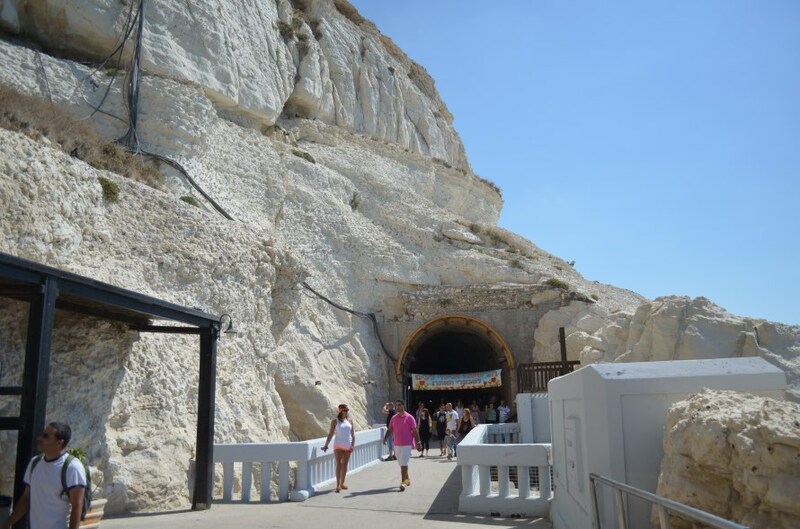 The light-and-sound show lasts about 15 minutes and is screened in seven languages: Hebrew, English, Arabic, Russian, German, French and Spanish. 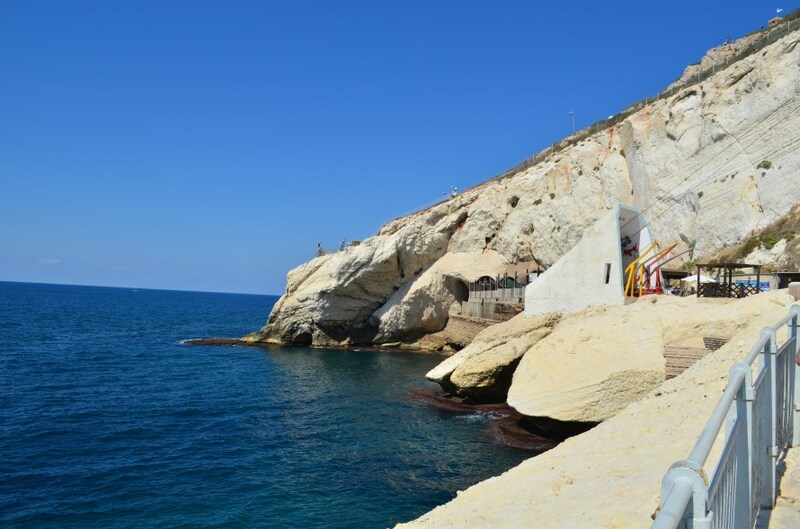 The small train (with extra cost) - The small train of Rosh Hanikra takes you on a very beautiful path from Rosh Hanikra to Ahziv and back, passing the route of the railroad track from the British Mandate period, travel time being about 40 minutes. 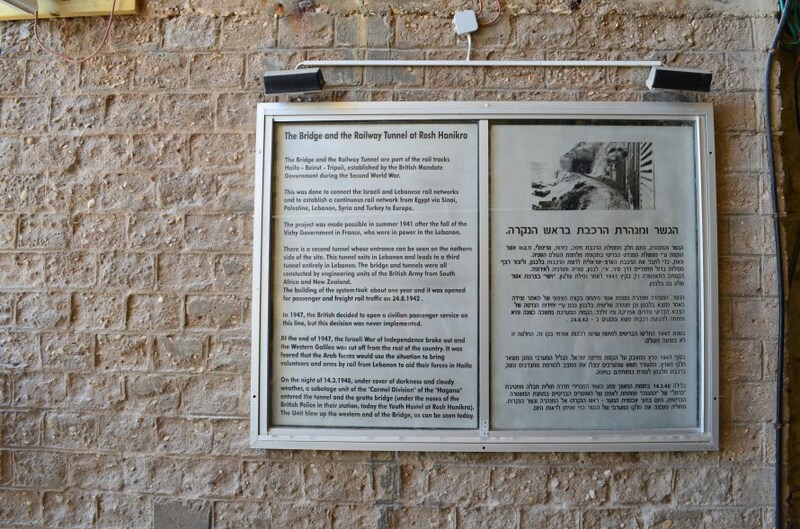 The train ride is accompanied by guidance. 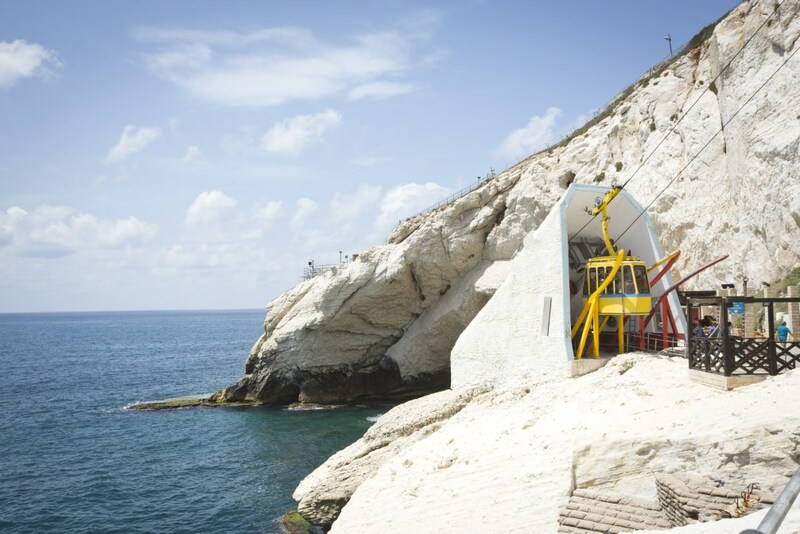 The small train can seat up to 50 people. 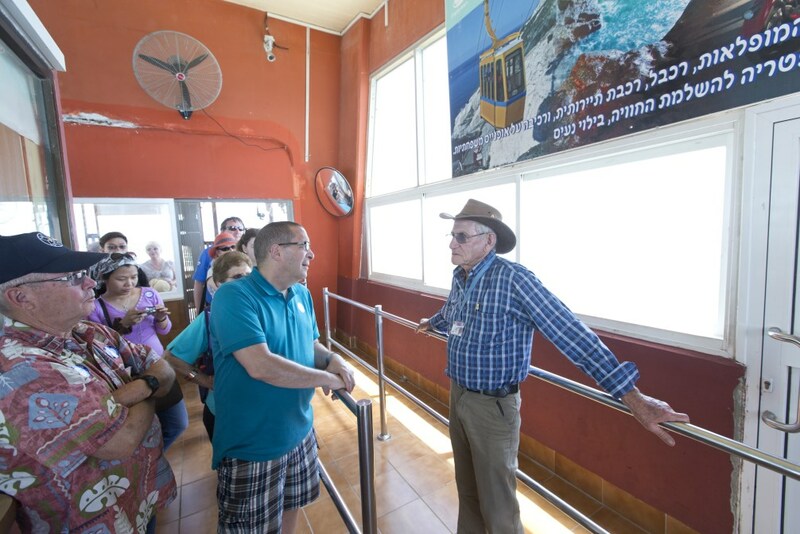 The train operates on Sabbaths (sunny days only ), festivals and holidays between the hours of 10am and 5pm during the winter, and in summer between the hours of 10 AM - 6 PM. 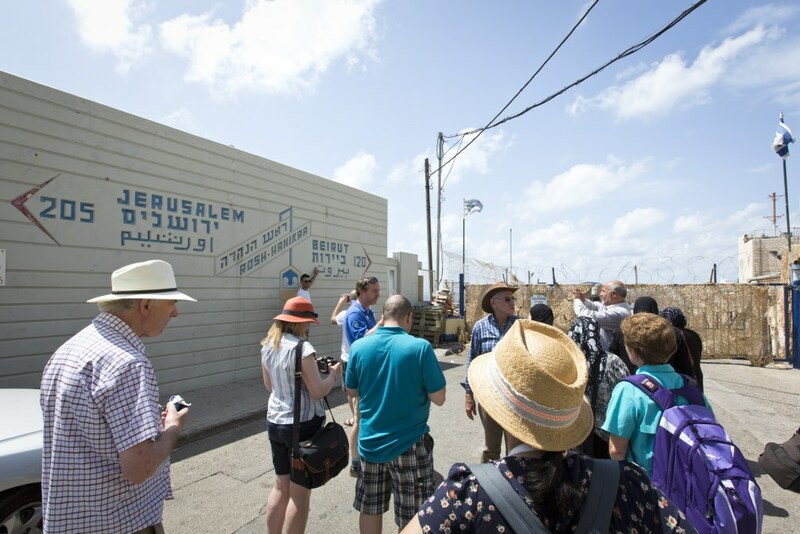 For groups it is possible to order train rides in advance throughout the week. 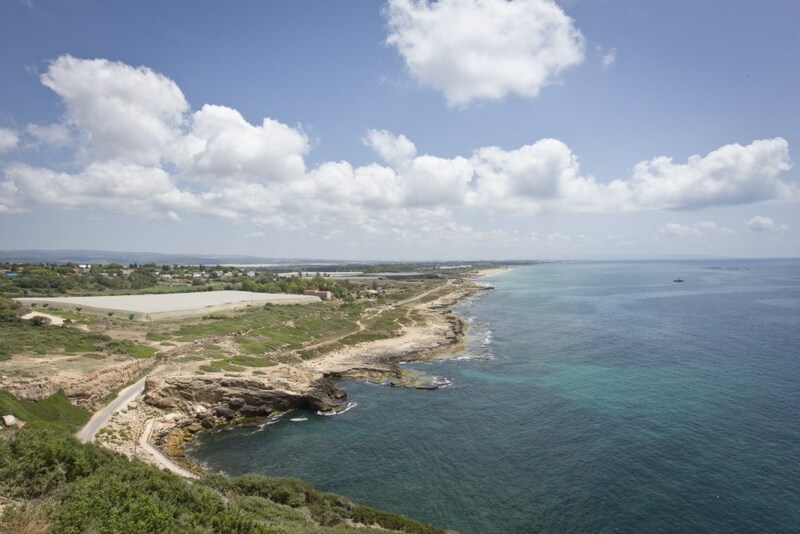 Family bicycle trip- Every Friday and Saturday and holidays- renting family bikes for a trip along the shore. 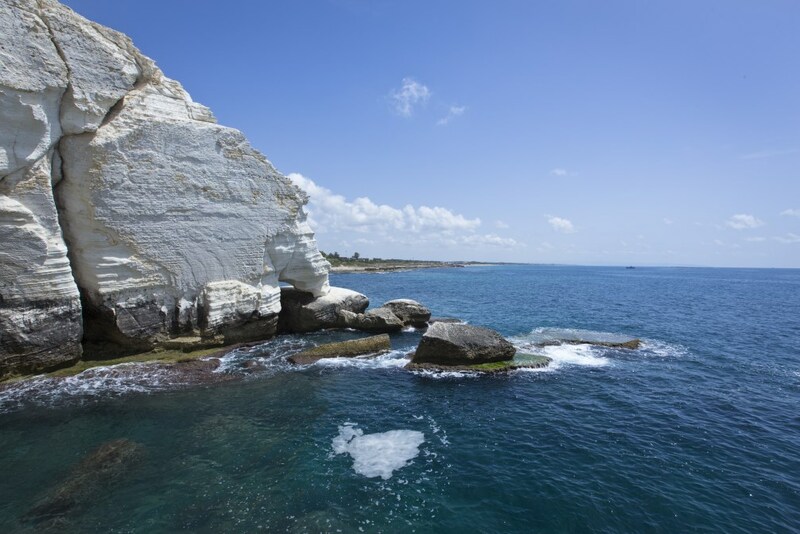 The route passes through a lush natural reserve and vivid small bays. 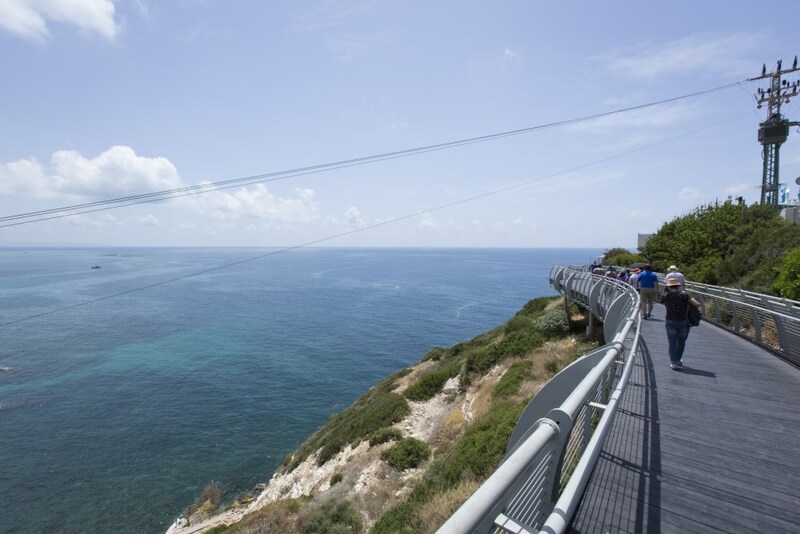 A ticket combining site entrance + bike rental in one extra affordable price is available. 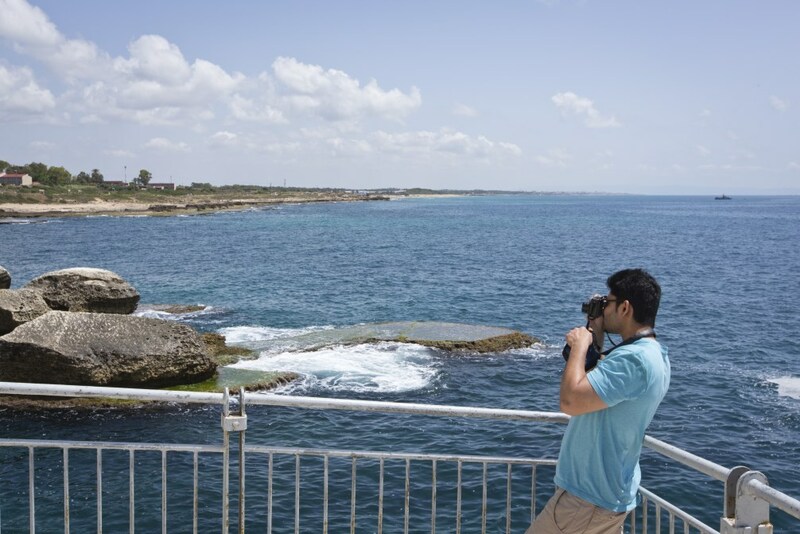 A Restaurant overlooking the sea buffet and gift shops are also located on site.